Having served Orlando for over a decade, Pondtastic master pond builders and owners, Jim and Theresa Price, announced last month they were closing their retail location. 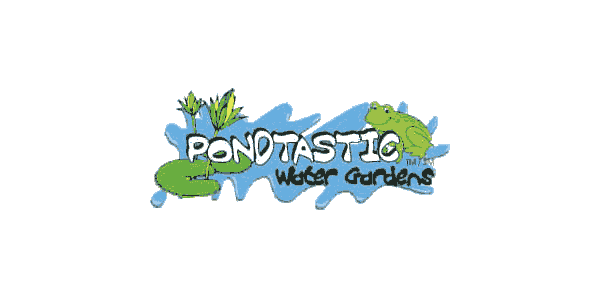 As of March 22, 2015, immediately following their final Water Garden Weekend Event held March 20-21 at their retail location, Pondtastic's doors will close one last time. It is important to note that the construction, maintenance, and service divisions of Pondtastic will remain active. When we decided to open our retail pond store back in 2003, we had so many hopes and dreams of what it would become. Over the years that followed we achieved so many of those, but we never expected the bonds we would create with so many of our “customers”. We have watched so many of your families change over the years and our involvement in our community has given us amazing opportunities to get to know so many special people. We have always said “we build friendships one pond at a time” and that is really what makes this announcement so difficult. Well, everything is changing…including how we as customers spend our money. The Internet has opened up a new world of competition for our business and they don't have all of the incredible overhead that a brick and mortar store like ours has to incur. As much as we love the relationships / friendships we have with all of you…too many times over the past year, we have heard “thanks for the advice…I bought it online and it worked”, “that sounds great but I can get it cheaper online”, or “I love that product but I'll buy it online”. We are not blaming anyone and there are really no hard feelings…it is just the times we live in. There is little value placed on the knowledge, resources, and customer service anymore…it's all about the savings. We all have to make our dollars go further…right? To that end…It is with a heavy heart that we must announce, we will be closing our retail location on March 22nd. We will be having one last Water Garden Weekend Event! March 20 & 21. 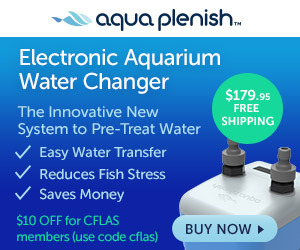 This event will feature the same great fish and plant specials you are used to getting every year as well as we will have clearance pricing on many items. Everything must go! We can't say enough how much we have appreciated your support of our business over the past 10+ years. There are no words that could accurately capture our gratitude for your support of our business. We hope you all will have the opportunity to come out and see us one last time at our water garden weekend event. We would love to see you! There is certainly a strong message to be ascertained from what Pondtastic, and so many other retailers have been dealing with. Times are indeed changing, and they have been for quite some time now. Today's America demands convenience at a low price. Perhaps now is a good time to review your strategic brand partnerships and how much valuable real estate you dedicate to your dry goods section. Carrying multiple brands of similar items tells your customers that you have no brand loyalty, so why should they? Some believe that the concept and desire for quality craftsmanship, and knowledgeable service, has been lost with the current generation. Others believe this is all a result of government-incentives in the 1990's to move manufacturing overseas. Perhaps we get too comfortable and ultimately lose touch with trends. Whatever the case may be, never stop cultivating and nurturing ideas. Although Pondtastic's retail location may be going away, it is on the service-side that they are most adept, creating beautiful aquatic masterpieces. Keep doing what you do best!